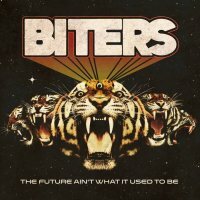 The Biters once sang "I want to Rock 'n' Roll all night like it's 1975". With this, their second album, they've done exactly that. Taking the uncompromising Punk attitude of The Ramones and Rock 'n' Rolling in the style of vintage Kiss, their sound is infused with the melodious, sweet Pop Rock harmonies normally reserved for the likes of Cheap Trick. Debuting with first full-length album 'Electric Blood' in 2015 (following two successful EP's), sophomore release 'The Future Ain't What It Used To Be' sees Biters neatly impregnating their style with some amazingly authentic Glam Rock melodies and rhythms, sounding retro, yet completely relevant at the same time. As anybody who saw them on their recent tour with label-mates Blackberry Smoke will testify, they're a mesmerizingly entertaining live act with a charismatic vocalist and front-man in Tuk Smith. First single 'Stone Cold Love' and 'Gypsy Rose' certainly owe a huge debt of gratitude to Marc Bolan (the latter is somewhat comparable to 'Hot Love' minus the "la la la" section) with their immense Glam Rock groove and rousing production, while to some extent 'Callin' You Home', with its slower rhythm and earworm chorus, also wouldn't sound out of place on a T-Rex album. The attitude-filled Hard Rock comes in the form of scintillating opener 'Let It Roll', the scathing 'Vulture City' and the 'We Will Rock You'-esque thumping rhythm of 'No Stranger To Heartache', while 'Don't Turn This Good Heart Bad' Rocks with a catchy-as-hell Disco rhythm. Signifying the real growth since '...Blood' and displaying a different, more versatile side to Biters are the two ballads; closer 'Goin' Back To Georgia' is predominantly acoustic-based with a hint of a Country/Blues edge, while the quite brilliant 'Hollywood' is a tale of yearning for better things – "everybody wants to have a star on Hollywood Boulevard". Clocking in at just thirty-three minutes, it's perfectly concise in a wham-bam-thank-you-mam style. However, what it lacks in quantity it more than fulfils in quality given the fact that it's absolutely brimming with insanely catchy melodies and interesting lyrics. 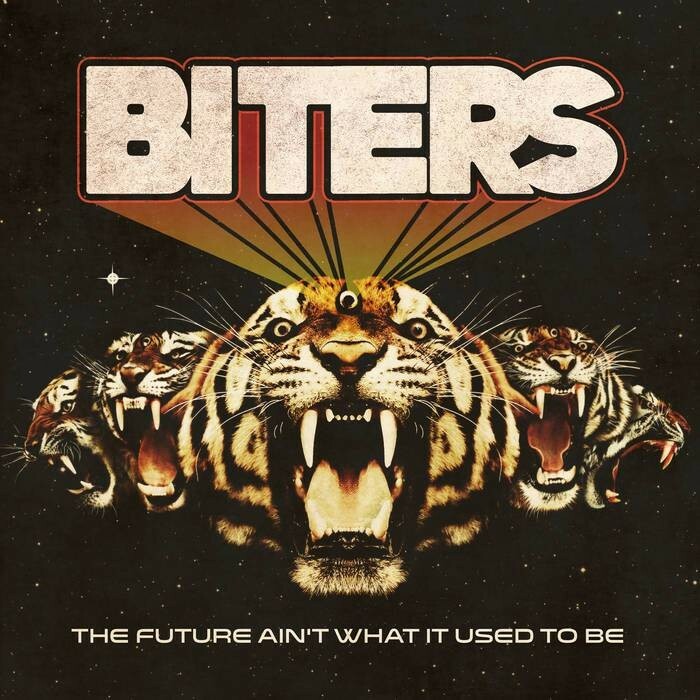 Biters are on an upwards trajectory and with this sophomore release they could well be knocking on the door of the big-time. Hands down, this is quite easily the best straight-forward Rock 'n' Roll album I've ever heard.